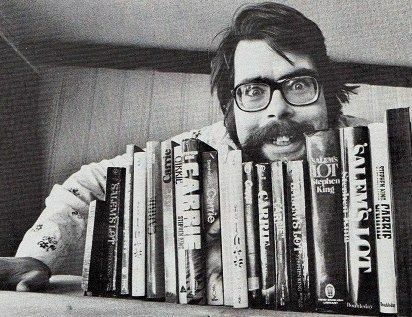 Stephen King was born in Portland, Maine, the largest city of the mostly rural state that serves as the setting for so many of his famous stories. Stephen was the second son born to Nellie and Donald King, but the family of four soon became a family of three. When Stephen was only two years old, and his brother only four, their father went out, telling the family he was buying a pack of cigarettes. He never returned. King’s mother worked several jobs, moving with the boys from Maine, going from state to state to find work and a place she could afford to live and raise two boys on her own. But Maine was home, and it’s where the family eventually settled for good. When they moved back to Maine, the family didn’t have indoor plumbing. And this was the 1960s. King’s life growing up was a far cry from the wealth he has now. But King didn’t see his childhood as exceptional or out of the ordinary. Though he does acknowledge he’s always liked scary things. Some have said that King might also be inspired to write such horrifying stories by a childhood event he doesn’t even remember. 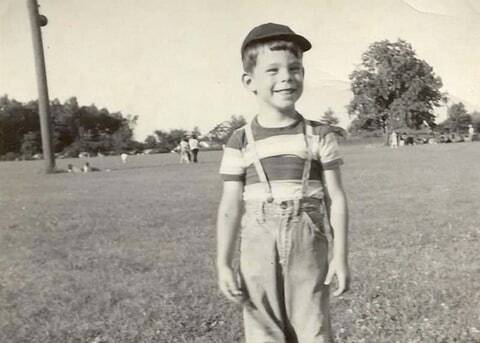 Stephen King in 1952, 3 years after his father walked out on his family. As traumatic as that event must have been, it was not the only explanation for King’s vivid imagination. Friends of the King tell stories about how the family was known for their attention to literature. If their mother couldn’t find – or couldn’t afford – a babysitter, she’d leave her sons alone with the expectation they would read aloud to each other. King’s love of stories and the written word was fostered from an early age. And, the tradition stuck – King and his wife Tabitha also made their own kids read aloud to each other, and to them. He’d even record them on cassettes to make the family their own collection of audiobooks. King graduated from Lisbon Falls High School, the high school in the town that later became the setting for portions of the book “11/22/63.” Lisbon Falls was a milltown, and King spent time working in the town’s mill when he was a teenager. After graduation, King had aspirations to be a writer. So he headed north to the University of Maine Orono to earn a degree in English Literature. While in college, King was a columnist for the college paper, was outspoken against the Vietnam War, and worked in the college library. That same library is now home to many of King’s papers. It’s also where he met his wife. Tabitha was looking for a book in the stacks, King passed by and struck up a conversation with her, and four years later the literary couple had graduated, had a daughter and was married. 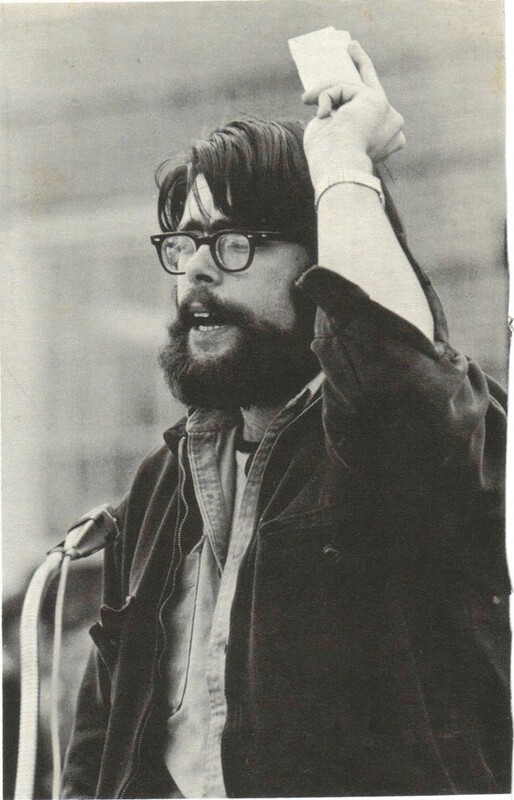 Stephen King in the University of Maine yearbook, 1979. Though King had been writing in college, he was far from being able to support himself and a growing family just by writing. He, Tabitha, and their daughter Naomi were living in a trailer outside of Bangor, and King was working two jobs. He was teaching English at Hampden Academy, and in the summers was pumping gas at the local station while also working shifts at a laundromat. Tabitha took on shifts at a Dunkin’ Donuts, and they struggled to get by. But King always made time to write. Even in the cramped quarters of the family’s trailer, he made a point to set aside space for a writing desk and typewriter. 2,000 words a day was his goal, and that’s a goal he stands by today. Eventually, King earned a teaching certificate and was able to put his college education to use as a teacher at Hampden Academy. The work still wasn’t what he wanted to be doing, though. It was writing he loved, and writing that he wanted to earn a living from. Though it took years of effort, his big break did come. After Tabitha fished the beginning of Carrie out of the trash in 1973, King finished the book and sent it off to a publisher. The family wasn’t doing well financially when he sent Carrie in, and they couldn’t even afford a phone. So he got the news via telegram … he’d be receiving a 2500 dollar advance and Doubleday would be publishing Carrie. Then…even better news. The paperback rights were sold for 400,000 dollars. King could quit teaching and write full-time, and his family would be better off than they had ever dared to imagine. 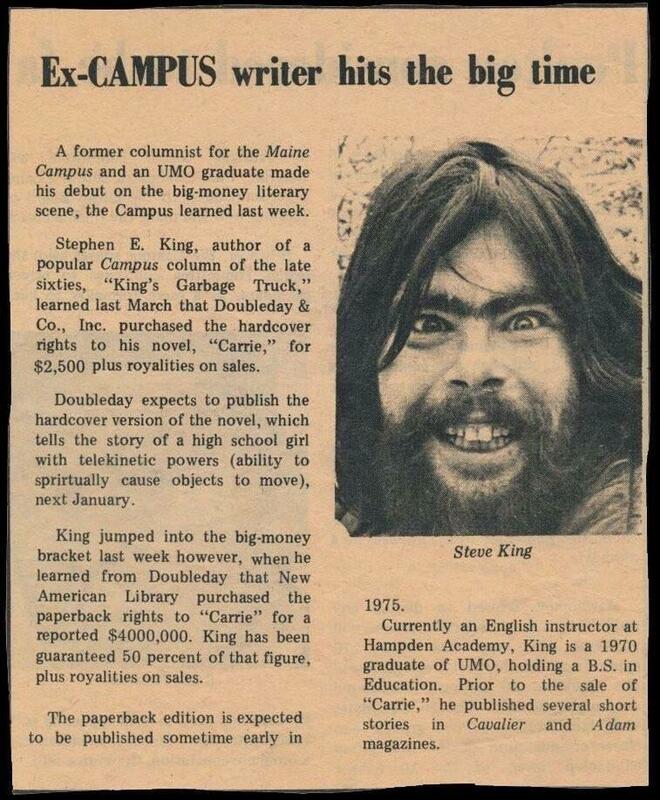 The photo University of Maine used to announce that Stephen King sold his first book. The book was a smash hit. Within the next year, a million copies were sold and only three years later it was made into an Academy Award winning movie. 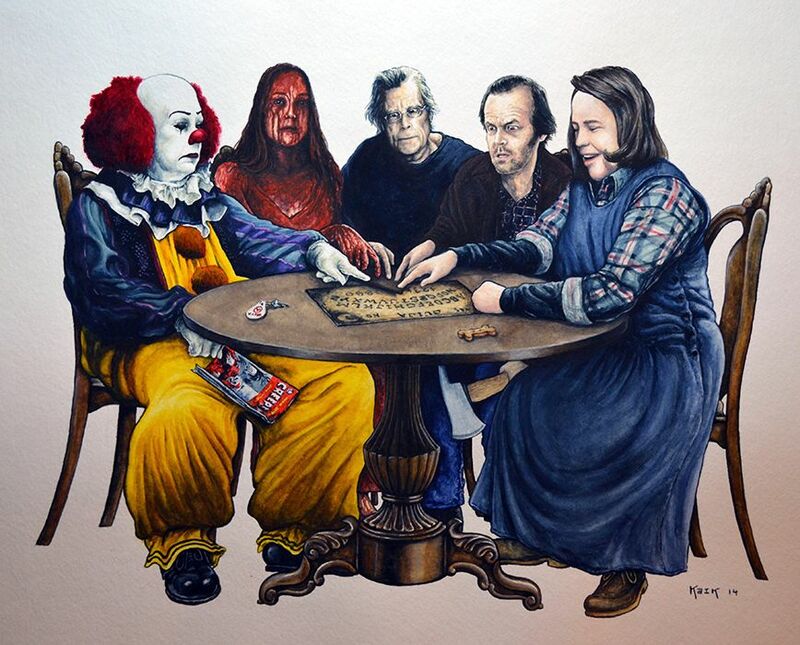 Stephen King was now officially a writer, and an American celebrity. “Nobody in the house drank but me. My wife would have a glass of wine and that was all. So I went in the garage one night, and the trash can that was set aside for beer cans was full to the top. He knew he had a problem, but he didn’t stop drinking. In fact, he took it one step further. In the late 70s, King started doing cocaine, using it at night while he was writing. By this time, he and Tabitha had three kids and he knew his addictions were taking a toll both on his family and his writing. He attributes the length of Tommyknockers to cocaine, and looking back has said the book could have been half the length if so much of it hadn’t been inspired purely by his drugged-up energy. He’s also said he doesn’t even remember writing Cujo, so bad was his consumption of alcohol and drugs during the 80s. And, The Shining and Misery both carry an undercurrent of reference to his struggles – Jack Torrence is an alcoholic in The Shining, and King has described the antagonist of Misery as essentially the personification of cocaine. It wasn’t until the late 80s, when Tabitha threatened to leave him and the family staged a dramatic intervention that King cleaned up his act. At the intervention, his family displayed drug paraphernalia and pills they had collected from the trash. King, with the magnitude of his problem laid out in front of his eyes and in front of family and friends, made the decision to get sober. Now, he’s been sober for nearly three decades. During the 1990s and into the 21st century, King continued to be one of the world’s most prolific and well-known writers. 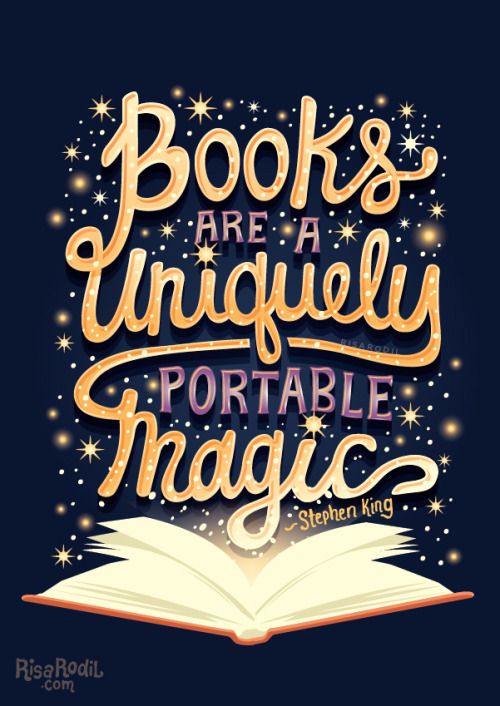 His books spawned movies and mini-series, and over 350 million copies of his books have been sold. 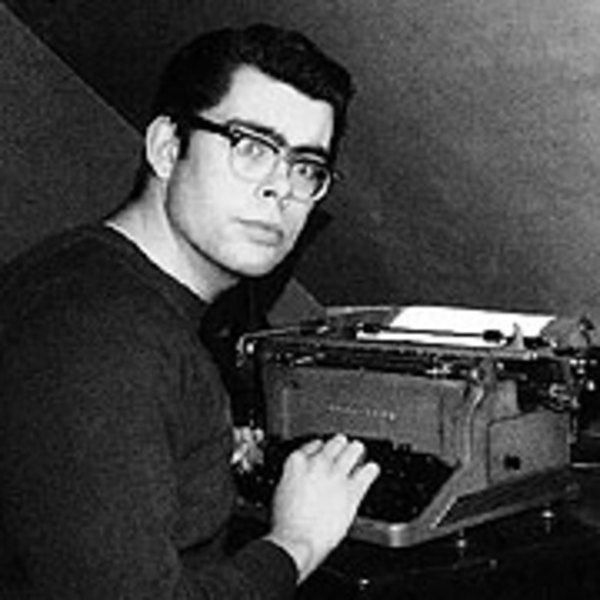 After he became so popular, King took the step of publishing under a pseudonym – Richard Bachman. He wanted to see if he could still get books published and have them sell without his now-famous name splashed across the front. Turns out, he could. The first book he published under the name Richard Bachman was “Rage.” Set in King’s familiar world of a Maine high school, the book tells the story of a teenager who engages in violent acts at his school. He sets his locker on fire, shoots his algebra teacher, and attacks another student with a wrench. In 1977, it was a figment of King’s imagination. But in the late 1980s and 1990s, the book unfortunately started to resemble actual occurrences at schools across the United States. In 1997, after a student shot eight people at a prayer meeting in Kentucky, it was discovered that he had a copy of Rage in his locker. Disturbed by this, King asked his publisher to take the book out of print. To this day, Rage remains out of print. Even as his success grew, King remained living in Maine. The family owns a home in Bangor, and a home in Lovell near the lakes for the summer. It was near the home in Lovell that King’s life almost ended in 1999. 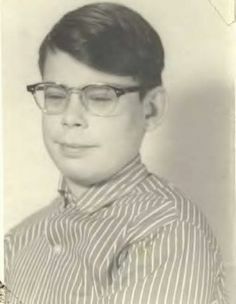 Stephen King after the accident. He was it by a van. King was taking a walk along one of the winding, wooded roads that are so familiar a part of Maine’s landscape. Then, a van smashed into him from behind. King was knocked off the road, into a ditch. Witnesses said he was in a heap and it was clear his leg was broken. His glasses flew off, and landed in the van that hit him. 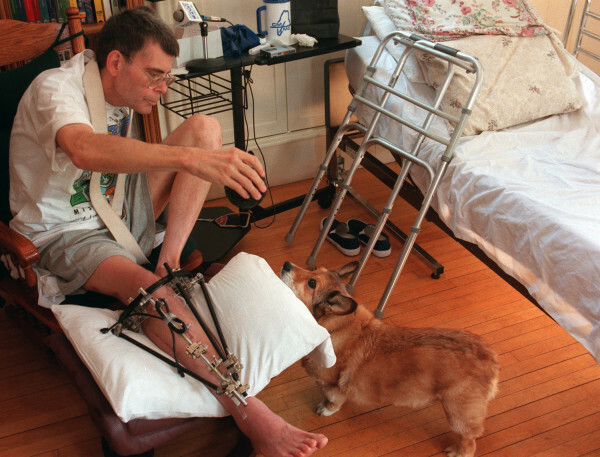 At the hospital, he underwent multiple surgeries and had to do physical therapy as part of his recovery. Bryan Smith, the driver who hit King, had a track record of driving infractions, including Operating Under the Influence (OUI) . The King accident was blamed on the Smith’s dog distracting him, causing him to swerve into the author. Smith received a six month jail sentence that was later suspended, and has his license revoked for a year. King was upset … he wanted Smith’s license revoked for life given his history of bad driving. Only a year after the accident, Smith was found dead in his trailer at the age of 43. He died of a painkiller overdose, and, in a twist of fate that seemed straight out of a King novel – he died on King’s birthday, September 21st. King sustained horrific injuries in the accident, but he resumed writing only a month after being released from the hospital. He finished the highly regarded “On Writing,” and in 2000 the book was published, but by 2002 King decided that he simply didn’t have the strength to keep writing as he had in the past. Where he had previously sat and typed for hours at a time, it now hurt him to sit for long periods. Addiction had also become part of his life again. After the accident, he took OxyContin to deal with the pain from his injuries and became addicted. As he had a decade earlier, he was able to overcome the addiction and live soberly. The lure of the written word ultimately proved too strong for his post-accident injuries and struggles, and so King returned to his craft. He has said that he literally needs to write to live. What would happen if he didn’t write? Since his accident, he’s published dozens of stories and books, including Mr. Mercedes, Duma Key, 11/22/63, and Under The Dome. A diehard Red Sox fan, like so many of his New England neighbors, Stephen King also co-wrote a book after the Red Sox 2004 World Series win. Faithful: Two Diehard Boston Red Sox Fans Chronicle the Historic 2004 Season, shared the story of the emotional roller coaster King and so many other Red Sox fans rode throughout the summer and fall of 2004. In a further display of his eclectic interests and abilities, King dabbles in music. He played guitar for “The Rock Bottom Remainders,” a band whose other members you might recognize too: Amy Tan, Dave Barry, and Matt Groening are only a few of the other celebrities who joined King on stage. And, he even co-wrote a musical with John Mellencamp. Billed as a “southern Gothic supernatural musical,” Ghost Brothers of Darkland County opened ran for a month at the Alliance Theater in Atlanta. King is 70 now, but hasn’t run out of ideas…in fact, he and his son Owen just released a co-written book in 2017. King is incredibly wealthy – he writes and sells books at a breathtaking pace. But he doesn’t use his wealth to amass ‘stuff.’ He and Tabitha own three houses – two in Maine and one in Florida. It’s the house in Maine that is most iconic…located in Bangor, it’s a huge old Victorian surrounded by a wrought iron fence decorated with bats. From the outside, the house is exactly where one would expect Stephen King to live. On the inside, it has an indoor swimming pool and a huge underground library. The houses are extravagant by everyday standards, but they are really the primary way King prefers to spend money on himself and Tabitha. His houses are beautiful, but they don’t use all of his money … so what does he do with it all? Authors J.K. Rowling (C), John Irving (L) and Stephen King attend a news conference together before a charity reading event in New York, August 1, 2006. Well, he gives it away, mostly. Or, he invests in projects that support his interests and his community. A music fan, King has purchased radio stations in Maine. A huge baseball fan, he funded the construction of a Little League Field in Bangor. The field is now known as “Field of Screams,” a tip of the hat to the field’s funder. Together, he and Tabitha run the Stephen and Tabitha King Foundation. Libraries and colleges, especially the University of Maine and the Bangor Public Library have benefited from the Kings’ philanthropy. Maine’s historical societies, fire departments, arts organizations, and hospitals have also been beneficiaries of the Kings. In a 2001 speech at Vassar College, King made his view on generosity and charity clear to his audience. In that same speech, he discussed natural resources and his dislike of the George W. Bush administration. With the advent of Twitter in the years to follow, King had an even wider audience to share his political views with. He’s take on President Trump via Twitter, announcing that the President wasn’t allowed to see the new version of “It” when it hit theaters in 2017. He’s also made clear in very profane language…we won’t repeat it here… what he thinks of the President and his administration. 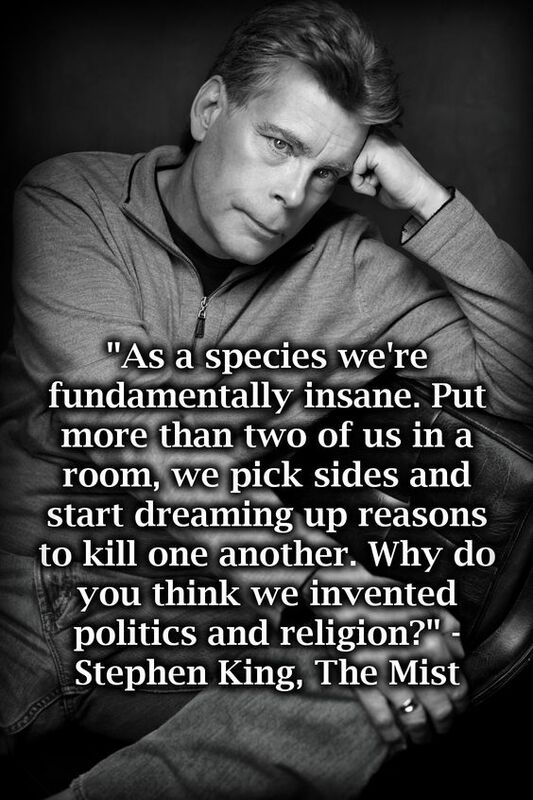 Stephen King is a national figure in his own right. For thirty years he has been affecting the conversation around pop culture. His books sell by the millions, and his movies rake in millions of dollars and win Academy Awards. Growing up, he knew he wanted to write, but he never wanted to do it to achieve the wealth and fame he’s now amassed. His reasoning was much simpler, and it remains his mantra to this day. 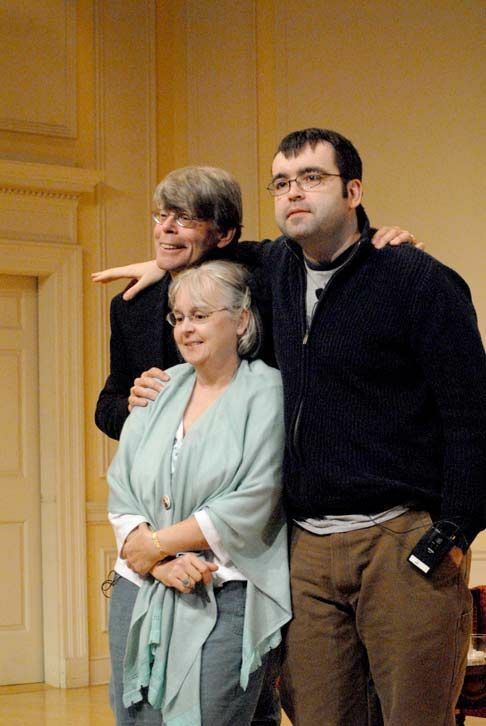 For over three decades, from his home tucked away in the northeast corner of the United States, Stephen King has been able to live out his childhood dream to write for a living. In doing so, he’s brought many of us nightmares – but they’re nightmares the world gladly welcome as we continue to delve into his stories.